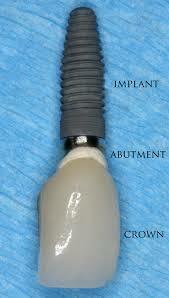 May 15, 2012 | Dental Implants. A dental implant is an artificial tooth root that an oral surgeon places into your jaw to hold a replacement tooth or bridge. Dental implants are an ideal option for people in good general oral health who have lost a tooth or teeth due to periodontal disease or an injury.